A Kitchener couple was sentenced to 12 years in prison for trafficking carfentanil, fentanyl and meth. Kimberly Murphy, 37, and Trevor Imeson, 44, were on the receiving end of the significant sentence. The judge said those who engage in "planned and deliberate" drug activity motivated by greed and profits will face dire consequences. Murphy said she always considered herself a victim because of her drug use. Both Murphy and Imeson were addicted to opioids. Fatal doses of Heroin, Fentanyl, Carfentanil The pair were in a common-law relationship before they were arrested last June in one of the biggest drug busts in the region, dubbed Project Variance. Five people were arrested. 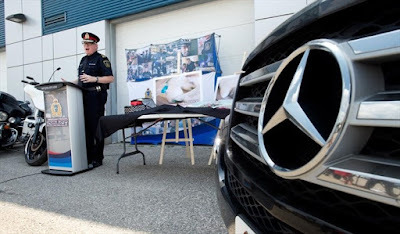 Waterloo Regional Police seized $500k in drugs, including carfentanil, luxury vehicles and nearly $250k in cash. 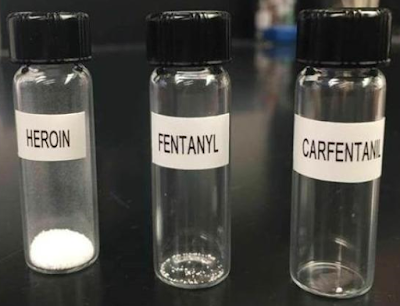 Cops found more than 430 grams of carfentanil and about 170 grams of fentanyl. Other drugs seized included meth, MDMA, cocaine, magic mushrooms, and Percocet and hydromorphone pills. The couple had more than $100k in cash in a safe in the master bedroom of their home. Both Murphy and Imeson had previously served time. Murphy was sentenced to two years after being convicted of trafficking heroin, while Imeson was sentenced to six years for robbery and break and enter.